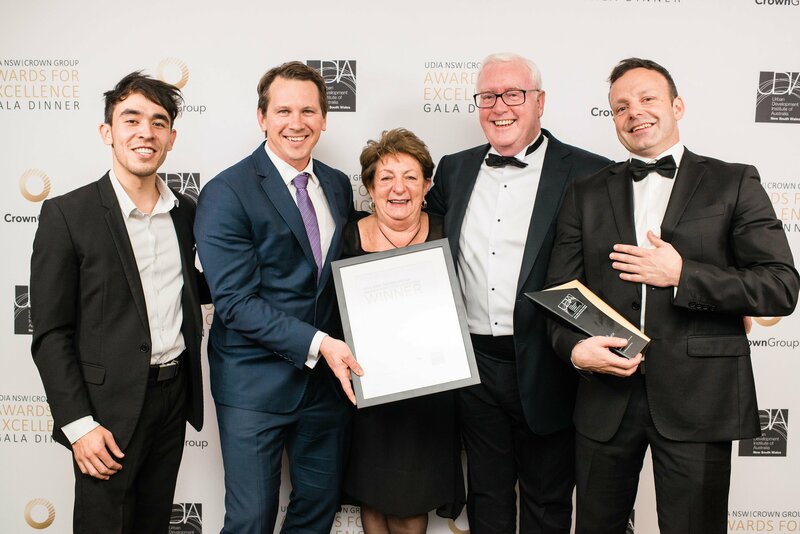 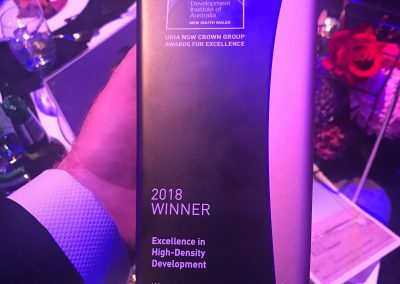 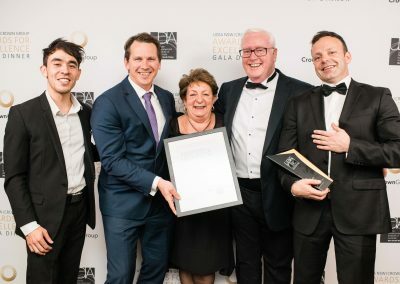 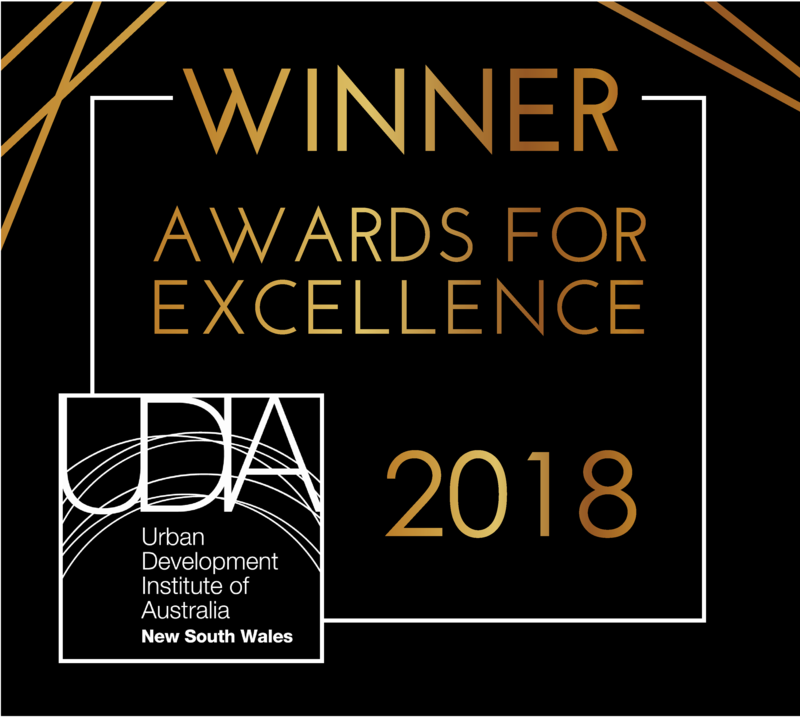 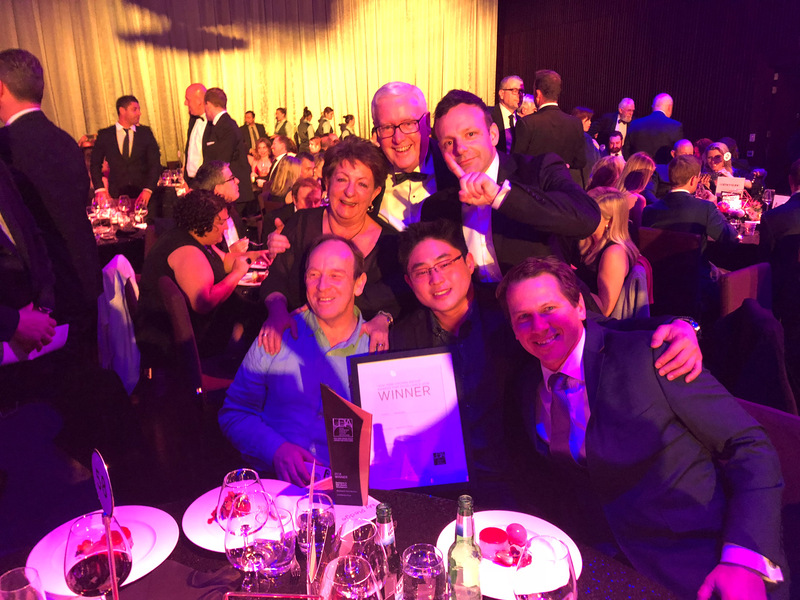 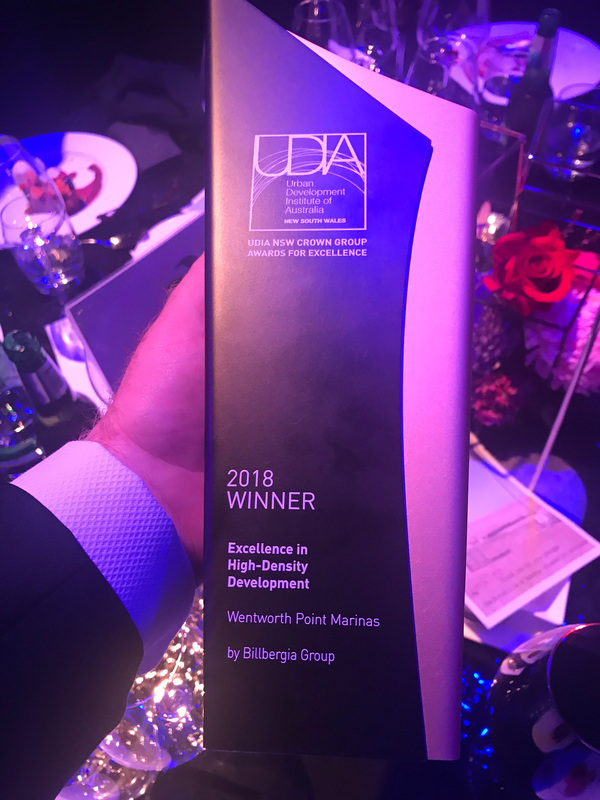 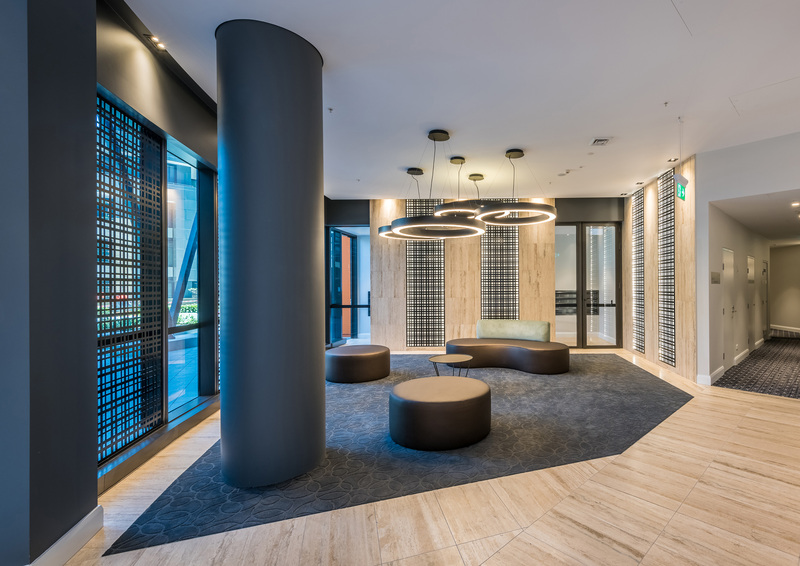 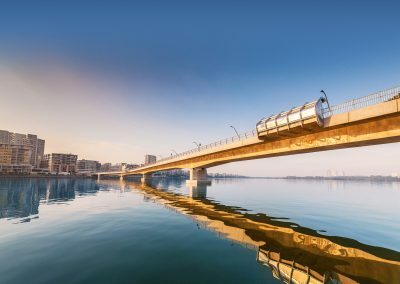 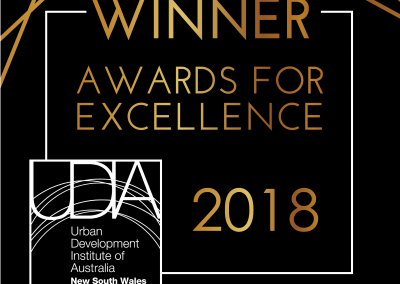 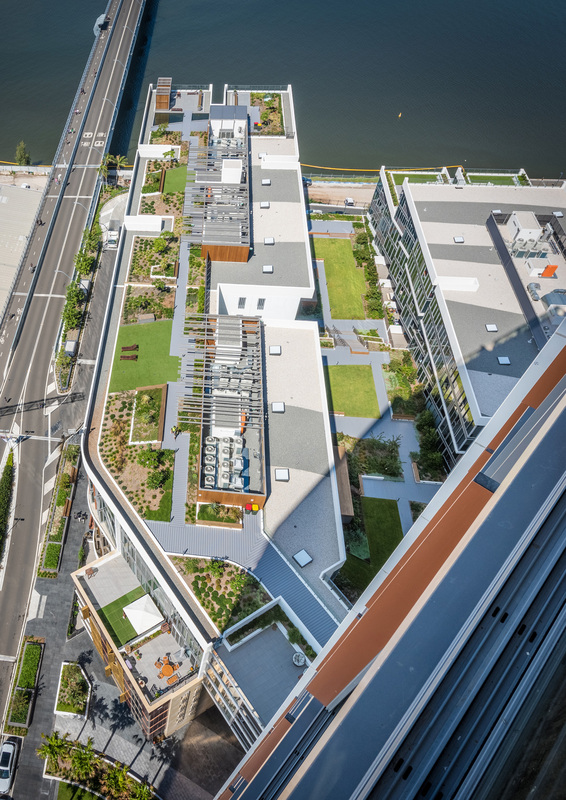 The Billbergia Group’s Wentworth Point Marinas project has beaten an impressive field of 12 other finalists to win the prestigious 2018 UDIA NSW’s Excellence Award for High-Density Development. 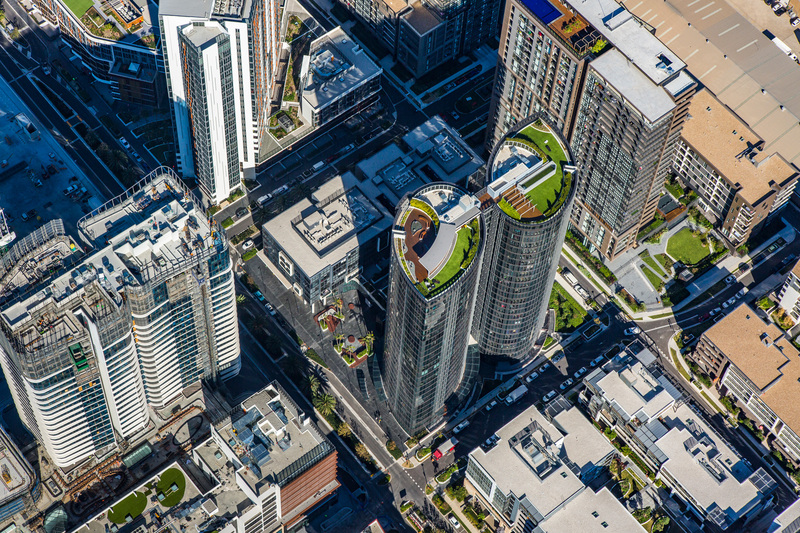 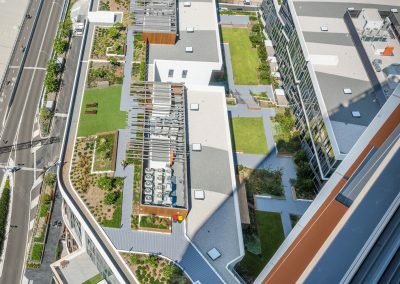 The winning $900 million project, designed by Scott Carver architects, incorporates 1,149 apartments in the buildings of ZEN, Sirius Tower and Sirius Waterfront, together with a 3,500 sqm community centre and library and the $63 million privately funded Bennelong Bridge that connects the precinct to Sydney’s transport network. 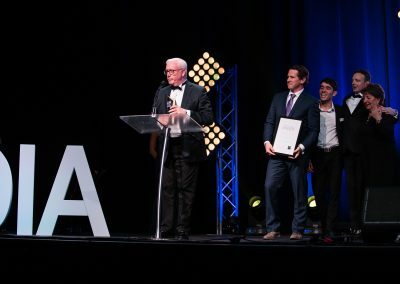 Managing Director and Co-Founder of Billbergia Group John Kinsella, said it was an honour to accept the award on behalf of the entire Billbergia team. 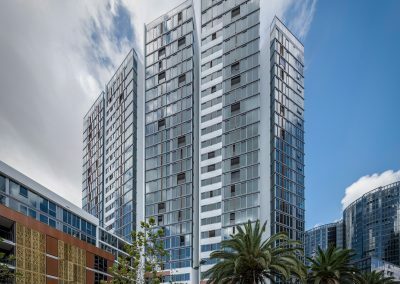 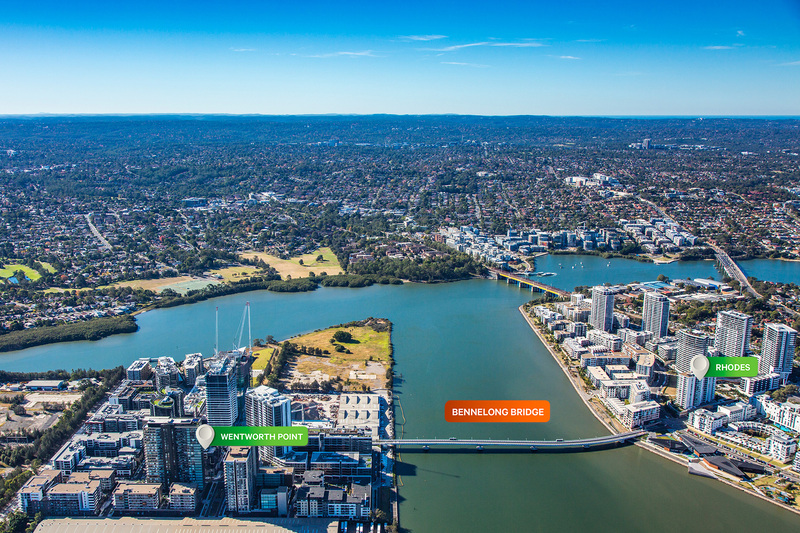 Located on Homebush Bay along the banks of the Parramatta River in Sydney, Wentworth Point Marinas is one of a number of Billbergia projects that are helping to reshape a former industrial area into thriving new residential community. 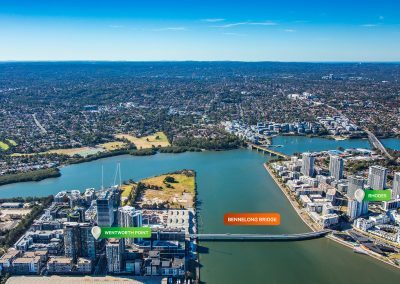 Wentworth Point Marinas is part of Billbergia’s long-term plan to create a sustainable Town Centre with community services and facilities including a new 3-hectare park, free community shuttle bus service, childcare centre and improvements to road infrastructure. 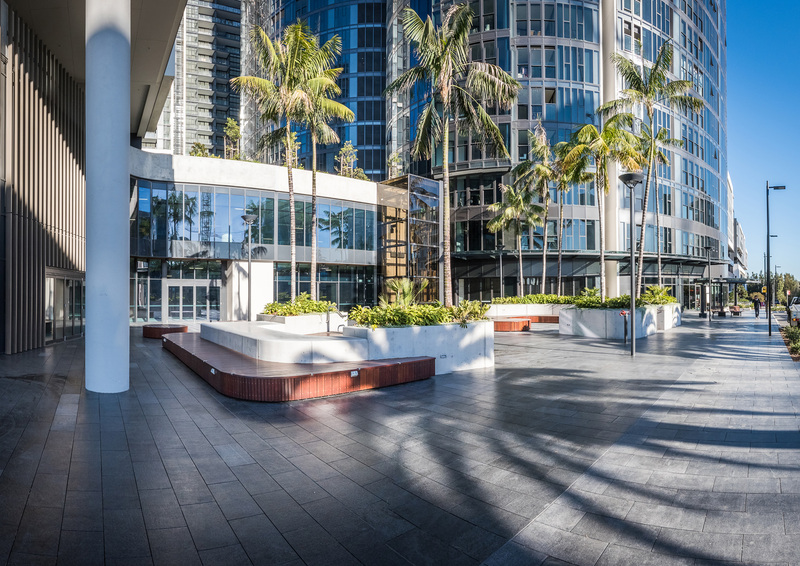 Hot on the heels of the Excellence Award, another Billbergia project helping to reshape Wentworth Point includes the new Marina Square residential and retail project that will open this October – boasting more than 45 retail outlets including a full-line Coles supermarket, together with three residential towers containing 800 apartments. 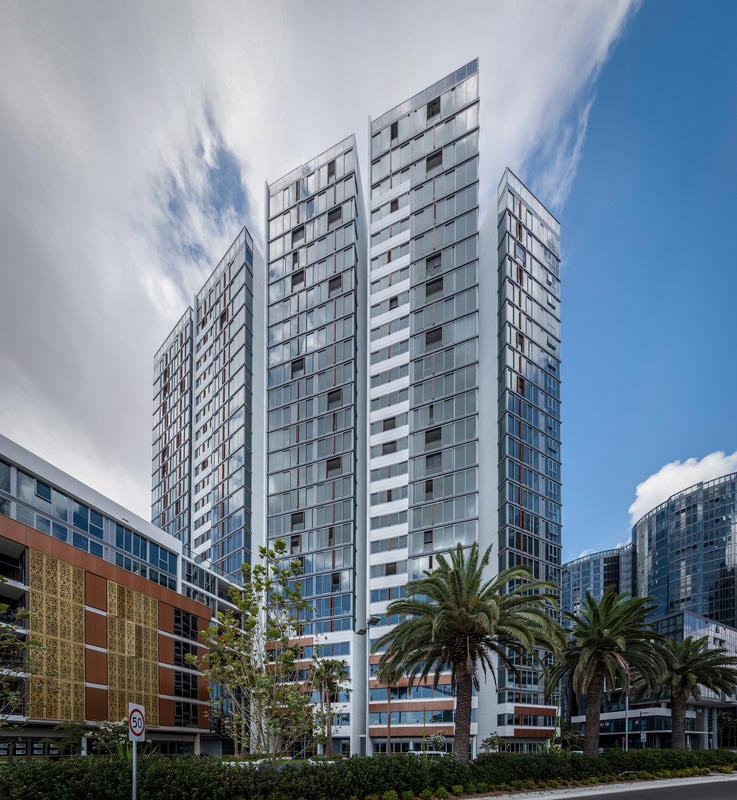 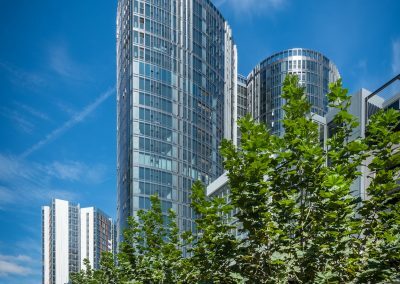 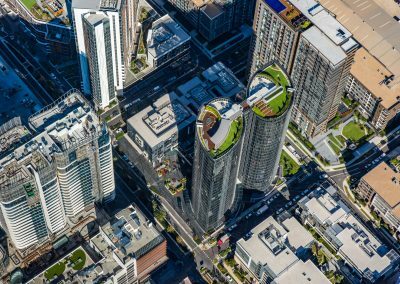 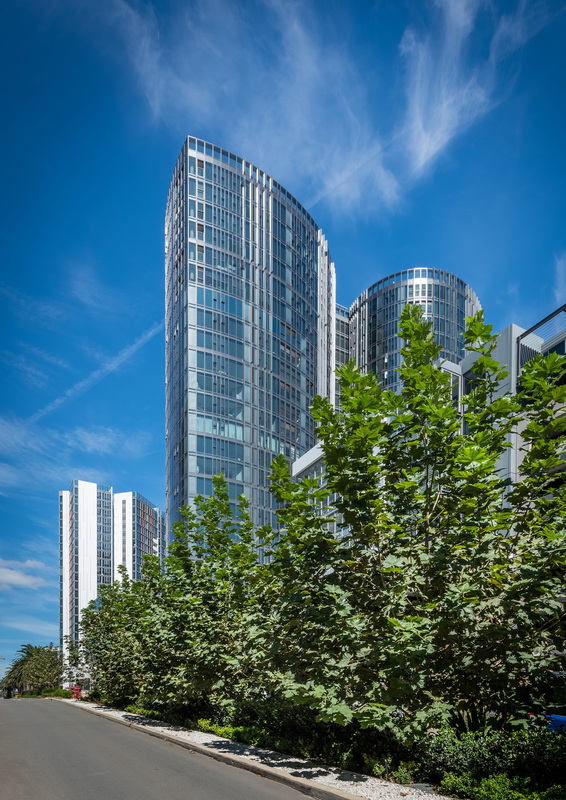 From humble beginnings 30 years ago, Billbergia has delivered an impressive portfolio of major development projects across Sydney and is now one of Sydney’s largest developers of waterfront apartments.